In a bit of randomness courtesy of the interwebs this week, we stumbled upon a 12-year old article (and book) by Richard Wiseman, psychologist at the University of Hertfordshire, in which he argues that being lucky is an easy skill to learn and is based on four principles: (1) creating or spotting chance opportunities, (2) listening to intuition, (3) creating self-fulfilling prophesies by expecting to be lucky, and (4) adopting a resilient attitude to bad luck. As luck would have it, we’ve touched upon each of those four ideas here in our ongoing discussion of the role played by luck in sports and business. The term serendipity was coined in the 18th-century by novelist Horace Walpole, inspired by the Persian fairy tale about three princes traveling through the land of Serendip. They “were always making discoveries, by accidents and sagacity, of things they were not in quest of.” What distinguished their “abilities” from simple luck was that they could see meaningful combinations where others did not. (2) We once wrote that good old-fashioned intuition has its place but it’s unwise to rely only on one’s instincts to decide when to rely on one’s instincts. (T)he Rays can trace much of their heartache to cluster luck. I’ve written about hit clustering a couple of times this year, but here’s a quick recap: Over the course of a week, month, or even an entire season, certain teams’ hitters will bunch their hits together better than others, while certain teams’ pitchers will scatter their hits apart better than others. The Rays have been, by far, the least lucky team in baseball when it comes to hit clustering. As of Friday’s FiveThirtyEight piece, the Rays had lost a staggering 54 runs simply through poor hit-clustering luck, a full 20 runs worse than the next-unluckiest team, the Astros. As Peta noted on Twitter, the Rays have turned double plays on less than 5 percent of the baserunners they’ve allowed, an abnormally low number that’s also the worst in baseball. Some of that is due to defensive slippage, as Ben Zobrist and especially Yunel Escobar are seeing their range start to tail off as they age. But most of it is likely a giant fluke. 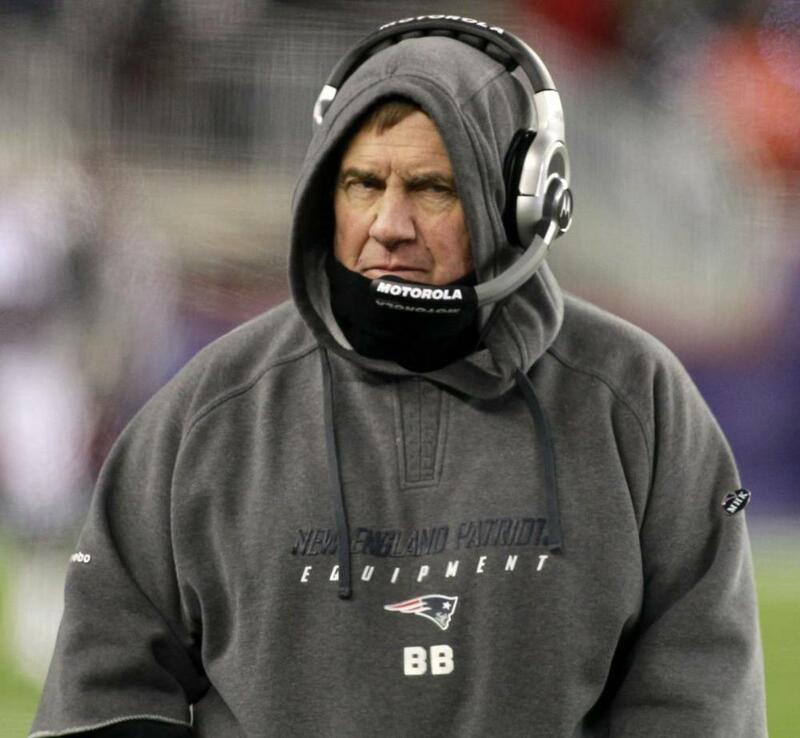 Two days before Super Bowl XLIX this article about Bill Belichick appeared in Grantland. It starts with a terrific journey back in time to young 9-year Billy cutting a homework-for-game-reports deal with his father – a well-known college football scout – and then travels forward to how he first made his bones as a defensive coach and then grew into an offensive master by constantly learning from his fellow coaches. It’s hard to win in the NFL, where most games are decided by small, often overlooked moments. The great coaches, however, are adept at finding and exploiting seemingly infinitesimal advantages. There’s a reason Bill Walsh called his book Finding the Winning Edge [for more detail, see The imperfect perfectionist – ed] and Don Shula called his The Winning Edge: Gaining an “edge” is often the difference between winning and losing. 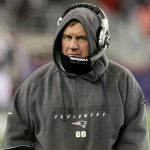 One doesn’t steward his team to 12 consecutive 10-plus-win seasons, as Belichick has, without an uncanny ability to identify and exploit the on-field edges that add up to wins. Each of the Patriots’ six Super Bowls is a testament to just how small that winning edge can be, with margins of just +3 +3 +3 -3 -4 +4. But for two unbelievable catches by Giants receivers we’d be talking about an unprecedented 6-0 dynasty that averaged a championship every other year. But for an unbelievable goal-line INT by an undrafted rookie community college graduate, we’d be talking about two different Brady/Belichick eras: the first resembling the Aikman-led Cowboys of the early 90s, the second resembling the can’t-win-the-Big-One Vikings of the mid 70s. The Grantland article includes a bit of catnip for those of you who like the X’s and O’s: a defensive play designed around which way the center slides after the snap. Talk about your “callous detail freak” looking for any edge. BPV often backs the same entrepreneurs in more than one business, and we view honesty and consistency as critical to sustaining long term relationships for long term growth as opposed to trying to squeeze maximum value from a single transaction. We also put a premium on transparency, as it’s easier to remember the importance of being honest when everyone involved in a business relationship can observe how decisions are being made. Ballast Point Ventures announces the final closing of its third venture capital fund. Ballast Point Ventures III and affiliates closed with commitments of more than $164 million, exceeding its initial target of $140 million. Founded in 2002, Ballast Point Ventures provides growth equity venture capital to rapidly growing private companies in the Southeast and Texas. BPV has partnered with over thirty companies in its first two funds within its target industries of health care, technology-enabled business services, communications and consumer. The new Fund’s investors include large institutional investors, family offices and over sixty successful entrepreneurs. Ballast Point Ventures has been the most active investor in Florida companies over the past ten years. * Ballast Point Ventures III recently made its first investment in PowerDMS, a technology-enabled business services company based in Orlando, Florida. PowerDMS provides technology solutions utilizing a Software-as-a-Service model in the Governance and Risk Compliance and Enterprise Content Management sectors. * Growth equity and venture capital investments of at least $2 million in private Florida companies, based on 2003-14 data from the Dow Jones VentureSource database. Anthony Lye – President and CEO of portfolio company Red Book Connect – writes in Restaurant Hospitality magazine that widely available mobile and cloud technology have created a “Moneyball moment” for the restaurant industry. The restaurant industry is having its Moneyball moment. Now that mobile and cloud technology are cheap and widely available, any restaurant can collect, analyze and act on huge swaths of data. Whether you have an Oakland A’s or New York Yankees budget, your restaurant has the ability to cut costs and increase profits by using big data that was invisible until recently. When you collect in-store, near-store and above-store data, and then connect it all together in the cloud (i.e. on powerful computers located outside your restaurant), you see problems and opportunities that have gone unnoticed. You can begin to change conventional processes that have been killing your profit margins and losing you customers. In-store data is all the information that comes from your restaurant. Your POS devices, fryers, refrigerators, temperature sensors and labor scheduling system can all communicate useful data. Combine them in the cloud, and you can detect patterns. For example, one global restaurant brand learned that its fryers were a huge source of inefficiency. Five times per year, when they added new menu items, all 100,000 fryers had to be reconfigured and each required 30 minutes of labor. So, the company developed a way to push new instructions to fryers via the cloud. Now, an IT guy clicks one button, and all 100,000 fryers know how to cook the new menu item. It’s similar to the way Keanu Reeves learns Kung Fu in The Matrix. By comparison, near-store and above-store data is all the information that originates outside the restaurant and above the restaurants in the company hierarchies. Near-store data includes weather, Yelp reviews, sports calendars, school holidays, special events and any other external data that could affect revenue and therefore the inventory and labor. Normally, a good manager keeps an eye on the near-store data and adjusts inventory and labor based on experience or gut feel. When you instead connect all this data in the cloud and compare it against sales, both real time and historical, you can build much more efficient labor and inventory models for your restaurant. Instead of guessing, your managers forecast inventory and labor needs with fewer errors, all on their smartphones. 6 years ago the number of business start-ups fell below the number of business failures, and it has yet to recover. This leaves us a stunning 12th among developed nations in terms of business startup activity. Of those, 3.8 million have four or fewer employees — mom and pop shops owned by people who aren’t building a business as much as they are building a life. And God bless them all. That is what America is for. We need every single one of them. A common misconception lumps together “lifestyle” companies and high-growth start-ups. Job growth comes mostly from new businesses that grow rapidly, not the more common short-hand of “small businesses.” The jobs created by high-growth companies, busy inventing products and services (and sometimes industries), dwarf those lost in the ongoing employment churn experienced by small businesses. The net result is remarkably stable cumulative job creation from start-ups despite their high failure rate. For every Facebook there are hundreds of other early-stage companies who receive financial backing and grow nicely. The economy is not built on a series of towering home runs that clear the fence no matter how strong the wind is blowing into the park. Winning takes singles, doubles, walks, anything that advances runners and scores runs. Over-regulating (or over-taxing) early-stage investment activity is like building a pitcher-friendly park and keeping the infield grass long: you better plan on low-scoring games. Before there was Moneyball, there was a little expansion football team in Dallas who invented Big Data (in sports) on their way to 20 consecutive winning seasons and 5 of the first XIII Super Bowls. They managed to win just 2 of those 5, losing the others by 3, 4, and 4 points. Yet even those losses serve as evidence in support of the idea of “Moneyball:” Super Bowl V was so error-filled it’s an outlier known as “The Stupor Bowl,” while X & XIII were classics won by teams known for the type of big-game performances that can trump statistical strategies that need time for the math to work. An immigrant statistician at IBM who knew nothing of football helped convert 260 scouting phrases (“he can run as fast as 2 cats“) into computer-friendly variables, input those into a giant box with less power than today’s laptops, and hired a psychologist to design a questionnaire sent to 10 scouts at 400 schools. As a result, the Cowboys were able to uncover future Hall of Famers like Bob Hayes and Rayfield Wright at obscure colleges and fill roster spots with other athletes (e.g. basketball players & track stars) who’d never played one snap of college football..
Big data may help make accurate predictions or guide knotty optimization choices or help avoid common biases, but it doesn’t control events and can be undone by cluster luck. Models are useful in predicting things we cannot control, but for players in the midst of a game the reality is different. Players don’t predict performance; they have to achieve it. For more on this subject, please see Untangling skill and luck in sports and business, The greatest comeback ever and the limits of decision models, and March Madness and the availability heuristic. This short video from ESPN films tells the Cowboys’ story. Inspired by what GM Tex Schramm saw at the 1960 Winter Olympics – IBM had placed chips inside skis to collect data – they created the blueprint for the modern NFL out of thin air. PART II – The Comeback of the Running Back argues that increased snap counts are favoring big-play running backs, especially as the game grinds on. No running back was drafted in the first round of the last two NFL drafts. But general managers, coaches and scouts knew that the running game would return due to a mixture of economics and fitness. And now it has. This season, running backs carved out a new role that looks like it will last: big-play specialists designed to exploit holes in today’s new-age defenses. Running backs may never be the focal point that they once were, but they are at least putting up a fight. This is a classic phenomenon in sports: an undervalued commodity becoming valuable again because of a shift in how the game is played. PART III – The Worst QBs Over 40 (Passes) points to data that suggests winning % drops off substantially when a QB – even an elite one – exceeds 30-39 pass attempts in a game. Tasking any quarterback with videogame style pass attempts however, may be a losing strategy. The Count looked at the career records of the quarterbacks expected to start in this season’s NFL playoffs (except Arizona’s Ryan Lindley, who only has six career starts) and found that only New England’s Tom Brady (39-24, .619) and Indianapolis’ Andrew Luck (11-11, .500) have records of at least .500 when attempting 40 or more throws.